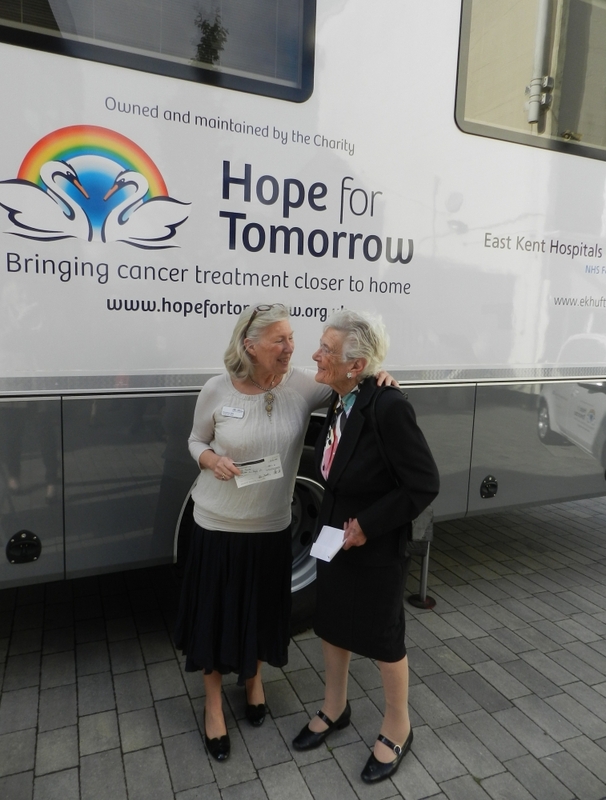 Monday 14th October saw the launch and contract-signing of a new East Kent Mobile Chemotherapy Unit. East Kent Hospitals University Foundation Trust and the charity Hope for Tomorrow took only six months from project to execution. The new Mobile Chemotherapy Unit will go out to rural areas in East Kent and is likely to treat up to ten patients per day. This is the fifth Unit that has been provided by the charity and is part of their on-going project to provide one in every county in the UK. 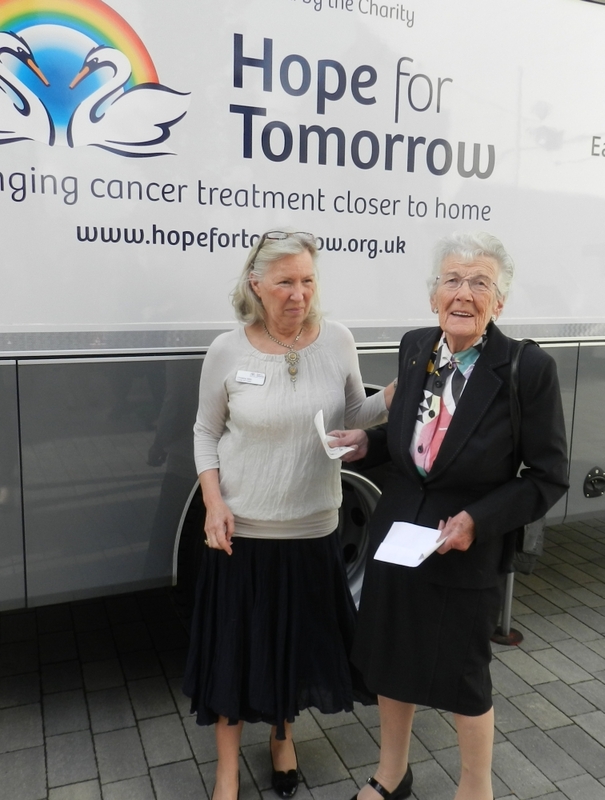 The Rotary Club of Canterbury's Community Service Committee supplied £525.00 for a treatment chair; Marjorie Lyle presented the cheque to Hope for Tomorrow's founder, Christine Mills. A three-nurse team and driver will start work in Hythe on 6th November. To read more about the project, click here.